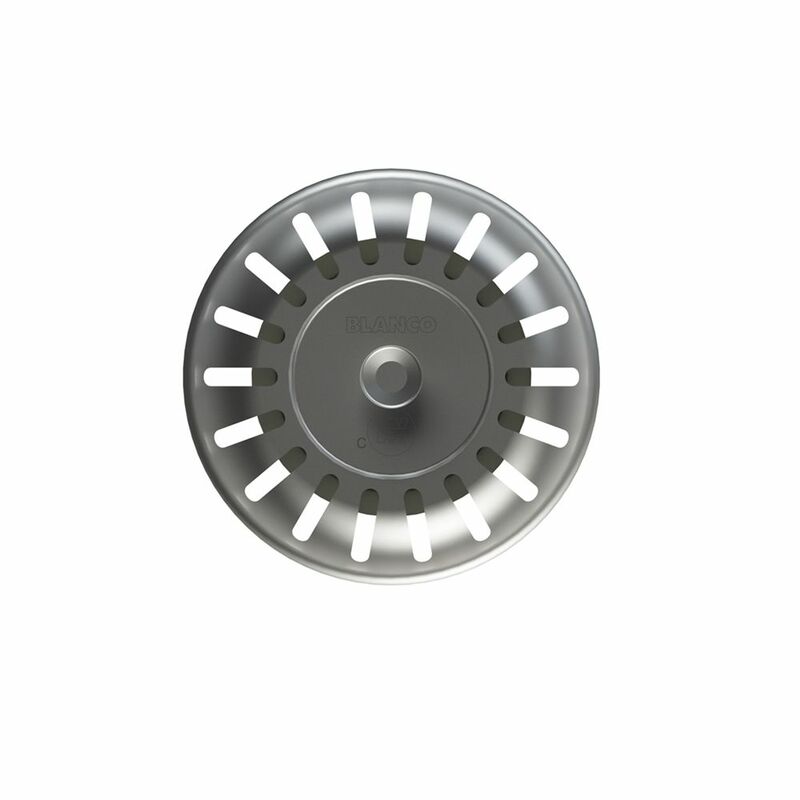 BLANCO Strainers are custom made to fit all BLANCO Series sinks. Home Depot and JAG Plumbing Products bring Canadian Customers the best Replacement Repair Parts - now in economical contractor packs. With an integrated, 4-inch brass tailpiece for convenient installation, this Duostrainer body fits snugly into standard kitchen sinks. It can be matched with a wide variety of strainer finishes for a customized look. Available in an array of KOHLER finishes to match any decor. Kraus kitchen accessories provide everyday efficiency with style. The square garbage disposal adapter coordinates with all Pax and R0 Pro Series stainless steel sinks, and is made to fit all standard garbage disposals. The simple, precise design adds to the clean look of a contemporary kitchen. For your convenience, a disposal flange and stopper are included with purchase. Standard Crumb Cup, Stainless Steel is rated 4.0 out of 5 by 3. Rated 4 out of 5 by Donald from Blanco Sink Strainer on Home Depot internet The sink strainers in the store would not fit well. Through the internet I found the original unit for my sink that was bought at Home depot a few years ago. Rated 3 out of 5 by Tammy from fits tight Very thin cheaply made! Not like the original that came with the sink. Rated 5 out of 5 by condo from good fit I ordered this item and it came in quickly. Perfect fit and good price.